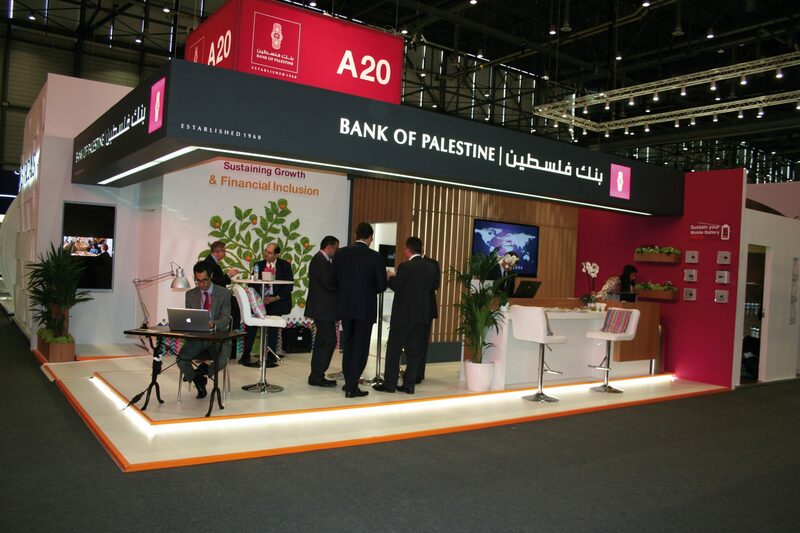 Bank of Palestine debuted at Sibos this year with a colourful booth and much interest from Sibos delegates. “We have been attending Sibos for many years as delegates and as our delegation grew from two or three people to bigger numbers, we decided to have a stand,” said Hashim Shawa, chairman and general manager of Bank of Palestine. Sibos is a great place to meet industry peers, partners and vendors, all under one roof – Shawa said – but even more importantly, it is a place to gather and exchange ideas, innovation and best practices. When you see other banks trying new things it teaches you not to be afraid of innovation, he added. “I love food and cooking. When I go to market I love picking up many different ingredients and food from all over. The same here – we collect all these ingredients and put them in the ‘mix’ in our ‘kitchen’, the bank.” This influences the bank’s business strategy and investment decisions. Bank of Palestine is the fastest growing bank in the Middle East, with total assets now standing at $4.1 billion, 70 branches and 10,000 POS machines across Palestine. It has also recently opened a location in the Dubai Financial Centre and will open a representative office in Santiago, Chile, becoming the first Middle Eastern bank to have direct presence in Latin America. The bank is also involved in fintech and “has invested in technology dramatically”, Shawa said. Five years ago, it set up a payments offshoot, PalPay (not to be confused with PayPal! ), which it now plans to take to other emerging markets. The solution enables the bank’s POS terminals to be used as a fully-fledged payment outlet. Consumers make a broad variety of payments, including utility bills, school fees etc, using their cards. Shawa emphasises that this service is not just for Bank of Palestine’s customers, but is open to any individual. The bank worked with software developers and also stakeholders such as government entities, education establishments and utility companies to bring to market a solution that would be “socially responsive”. Many people in Palestine do not have bank accounts and many of them are women. Not everyone has access to mobile banking. And there are still many people who are not financially literate. PalPay aims to provide a genuinely useful service to these people, Shawa emphasised, in order to drive financial inclusion.